We recieved several one time gifts this past year and were able to to award over $87,000 to forty-two students. This is an increase of almost $38,000 more than in the past (see below). With your generous support we hope to be able to provide this level of financial support to our scholars for the 2019-2020 school year. The average scholarship is $1,000. Our goal is to increase the number of students we are able to support by increasing our endowment and individual gifts. Secondly, we would like to have the funds to increase our average scholarship to $2,000. 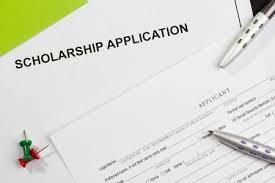 to award scholarships to deserving applicants. Please consider making a donation to Scholarship Little Compton, either as a one time gift or an annual gift. You may indicate a specific field of study, award amount per student, or other stipulation for your donation.